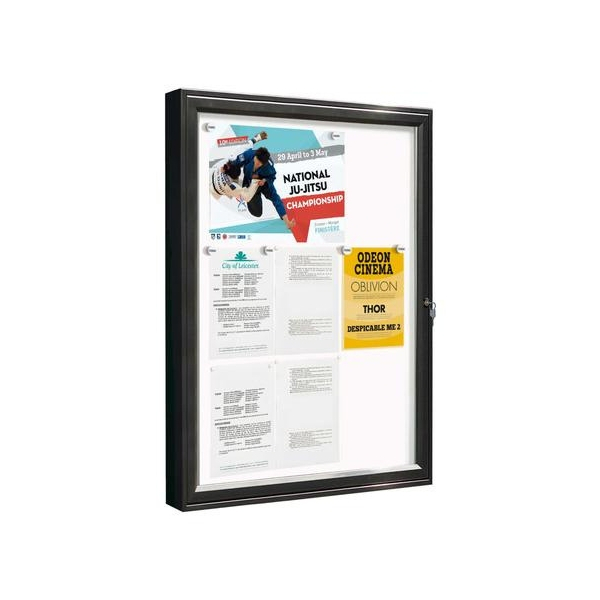 Classic and discreet, the ideal notice board for public buildings and corporate offices. Available with a choice of 4mm anti-vandal Plexichoc® glazing or tempered safety glass. A deeper profile than the “Tradition”, the “Classic” can offer larger display formats while maintaining all structural integrity. From 2 to 21 A4 sheets. Galvanised steel backboard in a white lacquered finish for use with magnets.